Here's what went down late last week. Pop tried to hide it from TW but it all came out. There was a big wriggly garden worm in my mauve cat bed, which is on Pop's bed! Pop has no idea how a worm could've made it up to the 4th floor of a building surrounded by concrete. The elevator, maybe?? TW actually thought it might've came out of ME!! Oh, the indignity! Remind me to bite her good for that little tidbit! But I think I have a clue. "I've got her mobile phone, Boss"
So there I was, making biscuits and preparing to lay down when I stopped suddenly to stare at this nommy treat right there in my bed. It was fat. It was juicy. It looked like an incredible edible. Then I noticed something strange. This simple earth worm appeared to have a tiny transmitter. Why would someone be spying on me? Who would have motive? I then remembered I was on the campaign trail with Katie and Waffles. I'd read about dirty tricks that went on in the political arena, but never expected to come face to face with one. An ugly one at that! But who could it be? Who would stop at nothing to get something on this little ghetto kitteh when my past is an open book? Who? Don't they realize we're campaigning for blind cats? In the hood we have ways of dealing with perps. In case you're wondering, the worm was waterboarded and "executed" without a trial. you know he's up to no good. After much detective work on the part of myself and Waffles, we discovered the culprit to be none other than my nemesis right here in the condo! HHGutt needed to make a few pesos so after downing his tequila, he planted the worm with the hope that he could sell any dirt or secret campaign plans he dug up to one of Katie's political rivals. The plan backfired when Pop found the worm and eradicated it, along with all the evidence. Now I'll deal with HHGutt. Katie here and I approve this blog post. Paid for by Anipals for Katie PAC. BOL Keisha we just spat our tea out reading your last line. Have a great Monday. This IS a most shocking development! Did the waterboarding work? Did he spill all he knew? Well I for one am not worried about this HHGutt character. CK you have no secrets that haven't already been published in the Enquirer. And I have nothing to hide. Heck, I danced on a table wearing salmon pasties in front of the whole world. HHGutt is obviously a hack. If you want quality intel, you certainly shouldn't leave it in the hands of, um... the paws...um... what is it that worms have anyway??? Another good reason to always eat the worm. I'm surprised you didn't eat the worm! Haha -- nothing like a great conspiracy theory to liven up the campaign!! Politics can get pretty dirty, can't it? OMC! this campaign stuff is looking like something the peeps do! SHOCK! You just need to keep an early bird on the campaign staff! This is all sounding pretty fishy. This campaign keeps getting more and more interesting!! And dirty too!! CK! I'm disappointed in you! You shoulda totally eated that introodur worm and then transmitted your burps to the opposition! The Human is currently reading Thomas Mallon's novel WATERGATE and she thinks maybe HHGutt might be channeling Gordon Liddy. I for one do not agree that a figurehead title discounts a platform. The title does carry power and Cat Ruler of the World represents all cats in action and deed. 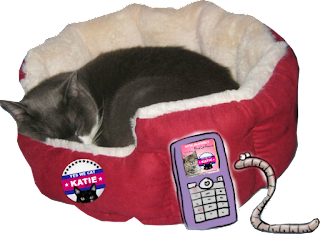 A platform and plan is absolutely necessary to do justice to catkind. As Katie already knows, I am more interested in making a difference than wasting my time with dirty tricks. Oh no Not a Worm. Gross. How could someone had done that. Yikes. Hope you have a worm free day today. Oh My Cod! That is awful! CK, after a start like that, me thinks yous needs a good vaction! Me thinks wes should all goes for one when the campaign is over! HHGutt has the innocent look down pat better be careful as the campaign comes to the end so no more nasty worms are found. Oh, CK! I hope you are okay! Hi Darling, Just wondering how the campaign's Dirty Tricks, um, clever maneuvering (See, I knew the Human was letting that Watergate book get to her) were going today. I'm still wondering about that w-o-r-m. It's arrival seems awfully 'spishus to me.